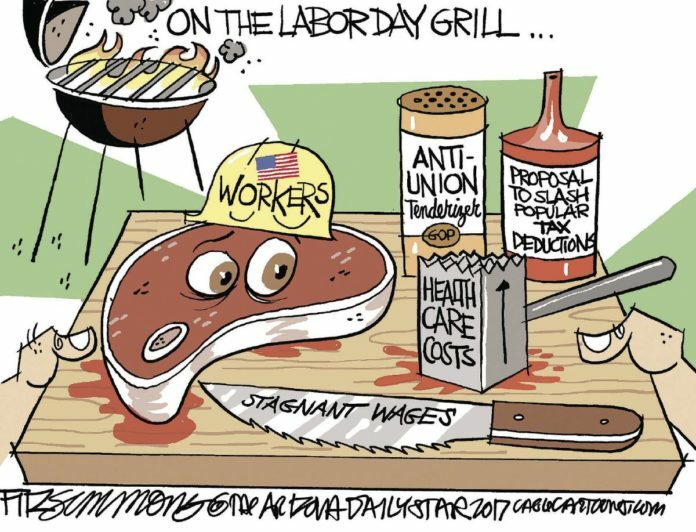 We shouldn’t lose sight of Labor day’s deeper meaning. Labor Day celebrates employees’ “freedom of association,” our right to choose the workplace best suited to us. Unfortunately, workplace freedom is not a reality in one part of the country: Union America. Less than 10 percent of union members ever voted for the union currently “representing” them. The few who did were never guaranteed a secret ballot election. Moreover, union members are not guaranteed recertification elections once a union is in power, leaving them with little opportunity to re-vote on union representation — even when the workforce turns over and the original voters are gone. The problem stems from outdated labor laws. American labor law has not been substantially updated since the 1947 Taft-Hartley Act, which outlined unfair labor practices to protect employers and employees from union harassment. Despite the best of intentions, 70 years later, labor unions continue to exploit the status quo to maintain their stranglehold on the workplace. This has a profound effect on U.S. politics. The Center for Union Facts estimates that in the last decade union leadership has sent more than $1 billion collected without prior permission from member dues to the Democratic Party and liberal special interests. Recipients include the notorious Clinton Foundation and Planned Parenthood. When 40 percent of union household members vote Republican, you’re looking at a problem best described as immoral. In 2016, 43 percent of union household voters supported President Trump. Yet union leadership continues to bankroll the anti-Trump agenda on the worker’s dime. While union members must affirmatively agree to their monthly dues being used for candidate campaign contributions, the same is not true of financial support to political advocacy groups. By classifying these political expenditures as “representational activities,” union officials can use member dues to finance a political agenda without employees even knowing about it. Union members are effectively silenced by union leadership more interested in politics than worker empowerment. Now you know why union elites are wildly unpopular. According to a 2017 Gallup poll, only 28 percent of Americans have “a great deal” or “quite a lot” of confidence in organized labor. Only 25 percent of current and former union members are supportive of union leadership. Labor reform is the best way to help employees. The Employee Rights Act (ERA) would update American labor law to protect employees from union overreach. The ERA — presently co-sponsored by more than 80 members of Congress — would guarantee secret ballot union elections and scheduled recertification votes after substantial workforce turnover. It would also prevent union officials from spending member dues on political advocacy without permission. Congress should act on it. Another Labor Day without labor reform is another missed opportunity to protect working Americans.